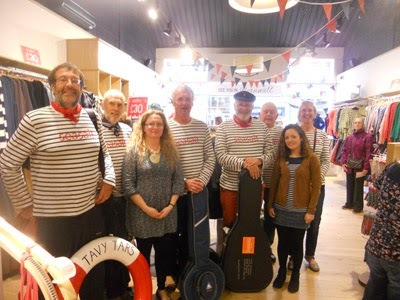 The Tars travelled up to Somerset on 5 May to help Seasalt launch their new outlet in Clarks Village. The weather was kind and we were able to do three sets outside the shop. 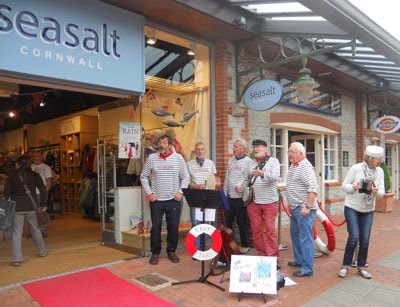 The Seasalt welcome was a warm as ever and we all had a good day entertaining the passing shoppers. 2019 Tars Performances-for more details or to confirm, email please. The Tars celebrated their 10th anniversary in 2013. Formed originally to sing shanties at the launch of a new pilot gig on the river Tamar, the pleasure of performing together has kept us going ever since. The Tars all live on the Bere Peninsula in West Devon, where there is a fine tradition of amateur music making. Apart from the music, we are bound together by a shared interest in rowing, sailing and all things nautical. 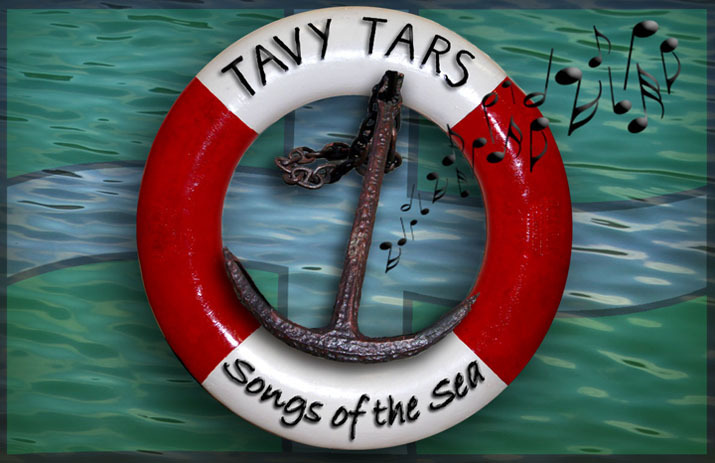 Our music reflects that shared interest - we perform a mixture of traditional sea shanties and other 'songs of the sea', blending male voice harmonies with instrumental support from guitar, concertina and banjo. As our reputation has grown, we have been invited to perform at some very different events, across the South West and beyond. Recent favourites have included surprising the passengers on the 'Scillonian III' ferry between Penzance and the Isles of Scilly, and the Christmas shoppers at the John Lewis store on Oxford Street. Whatever next?